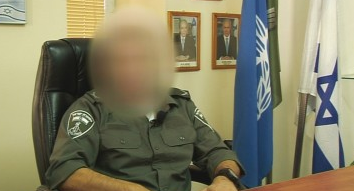 In September of 2014, Abreu Report touched upon the terrifying political reality unleashed by Israeli Prime Minister Benjamin Netanyahu in his giving authority to the Yamam -- the undercover, anti-terror police force described by some experts as a paramilitary unit -- to conduct operations anywhere around the world where the state of Israel felt necessary. Over the past year, Israel has watched with dread the rise of the Islamic State in Libya, where the terrorist army now controls over 270 kilometers of coast. Over the past couple of months, however, those feelings of dread have turned to action, and the Yamam has secretly begun operating in North Africa. The threat posed by the Libyan branch of the Islamic State, also known as ISIS, is simply too great for Israel to ignore, as intelligence indicates that the fledgling Caliphate has as its utmost goal to capture an Israeli cruise ship, with the desired objective of drawing full-blown retaliation from the Jewish state. ISIS in Libya is still focused on internal expansion and has not set sights abroad, but given the geometric rate at which fighters are flocking to their Mediterranean stronghold -- many of them veterans from the wars in Syria and Iraq, assisted by mercenaries from Mali, and reinforced by Boko Haram fighters from Nigeria -- intelligence agencies around the world believe that it may be only a matter of months before the group is able to carry out a spectacular, mass-casualty attack in Southern European waters. Israel has already deployed the Yamam against ISIS in Libya, essentially taking the first piece of bait set out by the organization in it's long-term plans to sucker the American-ally into an Afghanistan-style quagmire. Unable to carry out drone attacks without drawing mass international condemnation, Israel is currently suspected of waging stealth, asymmetric warfare against ISIS leaders in their stronghold around the city of Sirte, which was formerly ruled by Ansar al-Sharia before a large number of members pledged bayah, loyalty, to the leader of the Islamic State, Abu Bakr al-Baghdadi. If there is one thing that America's drone war has proven, however, it's that executing a terrorist leader with an errant drone strike or a sniper's bullet only promotes the most ruthless guy under him. The Western Media is reporting that ISIS in Libya is afraid, but things for them are going according to plan. Eventually those plans will succeed in inviting more Israeli involvement, and that will in turn invite more fighters to join the Islamic State, creating an endless cycle of death and destruction across North Africa. Last month, Israeli Public Security Minister Gilad Erdan met with members of the Yamam who had killed Nashat Milhem in Arara, telling them that they had "proved again that the Yamam is the best elite unit that we have, and one of the best in the world in the fight against terrorism." And very true to Minister Erdan's statement, the Yamam is indeed a very elite unit, with snipers that "don't wait" for the enemy to go to them. Yamam snipers go to the enemy.